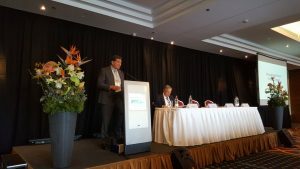 The International Plasma Proteins Congress (IPPC) organised by the Plasma Proteins Therapies Association (PPTA), took place in Budapest, Hungary on March 13-14. The IPOPI Board of Directors and staff was in attendance and, similarly to previous years, held its Board Meeting back to back with the Congress. IPOPI also attended the PPTA Stakeholders Meeting that took place on March 12 and the Platform of Plasma Protein Users (PLUS) members’ meeting, held on March 14. The main topics discussed at the conference were related to plasma supply issues and potential solutions, awareness of rare diseases in the world and national challenges of plasma collections. 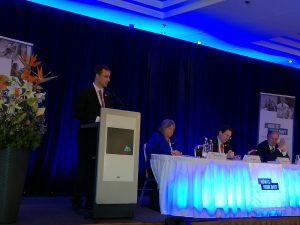 IPOPI’s Executive Director, Johan Prevot, was invited to give an overview of “Awareness of PID in the world”, providing the global perspective of primary immunodeficiencies’ (PID) patients to the industry audience. PPTA launched a plasma donations awareness campaign called “How is Your Day?” during the conference, which IPOPI is glad to support. 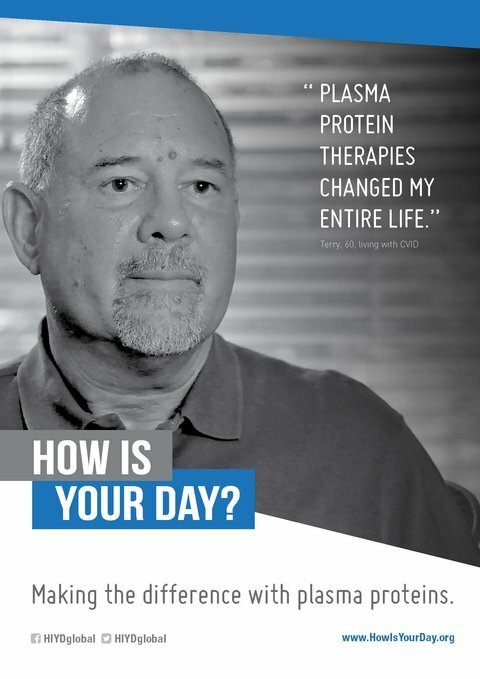 The campaign aimed at raising awareness of the importance of plasma protein therapies towards rare disease patients and hopes to stimulate plasma donations throughout the world.